The new SRG series joins Sony's widely used EVI and BRC product lines,a greater choice of high-quality remote camera options. 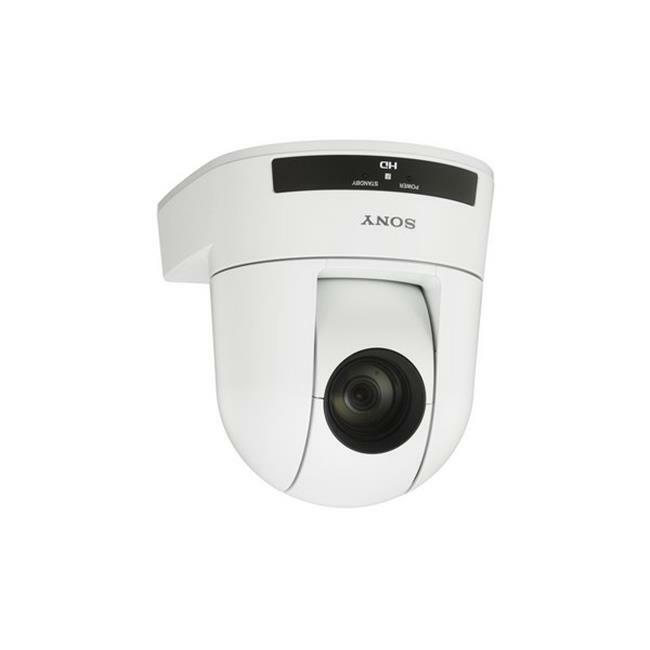 The SRG-300H/W is a new desktop and ceiling mount 1080p/60 HD PTZ white camera with a 30x optical zoom. It incorporates Sony's high sensitivity 1/2.8-type Exmor CMOS sensor with the latest imaging technology and field-proven operability. The SRG-300H/W is equipped with several new features including View-DR processing to master the harshest lighting conditions as well as the industry recognized VISCA protocol and built-in IP control. Compatible controllers include the CPITV4S, RMBR300 and the RMIP10 IP controller. The SRG-300H/W is ideal for house of worship, videoconferencing, distance learning, entertainment/seminar venues and remote monitoring of small to medium sized rooms.